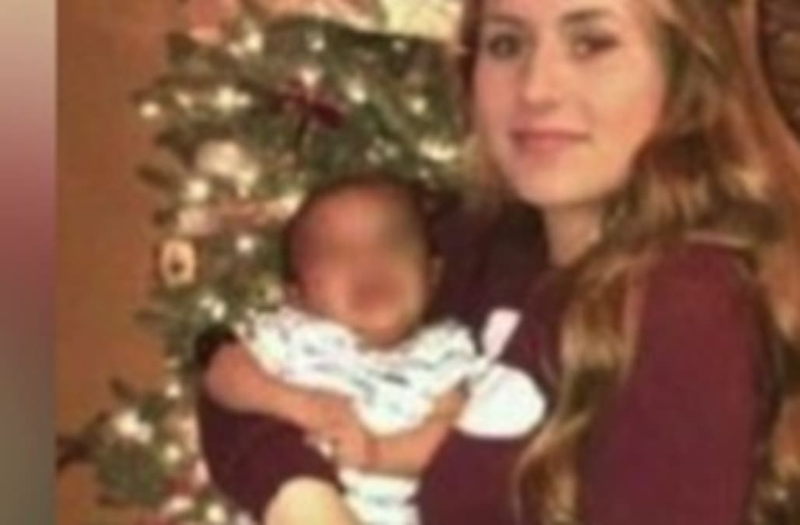 A pregnant woman from Fresno, California, was shot and killed in her bedroom with her infant child lying next to her, according to KFSN. Police said several people were in Amber Baker's bedroom early Sunday morning when she was shot, and officials are trying to find them. Amber shared the apartment with her son and sister, Cassie Baker. Cassie told the Fresno Bee that 20-year-old Amber invited guests over for a party Saturday night. "A lot of people were here when we got here, and we've been working on the case since we got it that morning," Fresno Police Lt. Joe Gomez told KFSN. Cassie told officials that she left the apartment after fighting with her sister, who was about six weeks pregnant. Cassie said that after a while, she sent Amber an apology via Facebook, but she never responded. "Our last words were so hateful," Cassie told the Fresno Bee. She said that shortly after apologizing, she received a phone call from an unnamed person who said Amber had been shot. Cassie told the New York Post that Amber had been acting differently before the shooting, and she thought that it may have something to do with the new friends she was hanging out with. The Baker family is heartbroken about the tragic loss. "We believe that there's more good in this world than bad," the victim's father, Vance Baker, told KSFN. "We just got viciously attacked by the bad. Our main goal is to give my beautiful daughter justice." A GoFundMe page has been set up to help with the cost of Amber's funeral. "Amber had a zest for life, her smile was contagious," the page reads. "She brought laughter and smiles to all. Amber leaves behind a 4-month-old beautiful baby boy, Ayden. Her baby was the light of her life."